HR analytics is a topic which employers often choose to avoid or defer yet it is a valuable asset in talent management. According to Bersin by Deloitte, organisations with mature analytics capabilities are twice as likely to improve their recruiting success compared to those without. When it comes to HR analytics, HR isn’t engaging in the conversations it needs to have. Businesses that do not move towards even a basic investment in technology will struggle to compete in the labour market, but it seems to be a discussion HR is not having. Approximately one third of businesses are not digitally enabled, do not have access to real-time information and lack confidence in their business-critical data, according to Advanced’s Trends Report for 2016. As UK digital adoption lags behind on the global stage, HR risks consigning itself to an administrative function. HR too often fails to anticipate hiring needs, adopting a reactive stance towards talent management. When a job opening arises, most hiring teams adhere to standard practice, posting automatically to job boards and assessing candidates against criteria such as social background and qualifications, influenced by unconscious bias. Modern HR software can incorporate a series of sophisticated assessments during candidate screening, including anonymised CVs, psychometric testing, video screening and gamification to evaluate qualified candidates and reduce the reliance on subjectivity. HR analytics provides insight into the success of existing hiring practices to facilitate this. Unfilled vacancies affect morale and productivity, increasing the pressure on hiring teams to recruit quickly, often increasing the risk of a bad hire. Analytics, through recruitment software, enables HR to create and nurture a talent pool to address workforce requirements. At the same time, it provides insight into candidate preferences through analysing their responses and engagement across online recruitment channels. Start the conversation about HR analytics in your business. 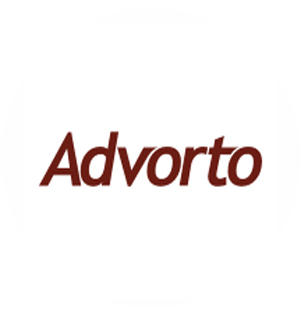 Contact Advorto today.